For those of you who attended the June 6th VMAP meeting I thank you for your attendance; we had a great turnout. Stan Dodd associate director of membership services of the Supreme Council gave a slide presentation about our membership statistics and ideas about how to engage our membership through activity. Our local chairman of VMAP is Gregg Hall. His wish is to have more people participate in his membership presentations throughout the year. 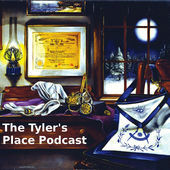 Gregg also chairs The Master Craftsman Program for Masonic education. This program is available through the web store at the Supreme Council of the 33*of the Scottish Rite. If we all team up with Gregg I think we would enjoy the Scottish Rite and our personal Masonic journey more. I like to think that our seeking further light in Masonry ( Scottish Rite and York Rite) should include an active participation in the bodies, if possible; if not, then active participation in social events planned by the bodies of our organizations. Our most visible social event happens monthly; it is our stated meeting and dinner. This event is a short meeting with a social dinner. To me, the social dinner is a time to sit with different members and their wives and get to know people better. We would like to have a greater participation at our stated meetings as this is actually more of a social event. The Scottish Rite would like for the bodies to promote some other activities aside from the stated social dinner. The Lodge of Perfection is busy working on the production of a standup comedy show on Sunday August 27th in the early evening. Once confirmation has been made with our act we will commence taking reservations and selling tickets. . 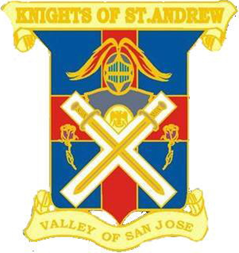 The Knights of Saint Andrew are working on block tickets to the Pleasanton Scottish Highland Games and Faire on September 2nd and 3rd. My fellow Masters of the other 3 bodies will include their social plans in the Rite Word as well. We do have fun and I hope all will join us when we do.